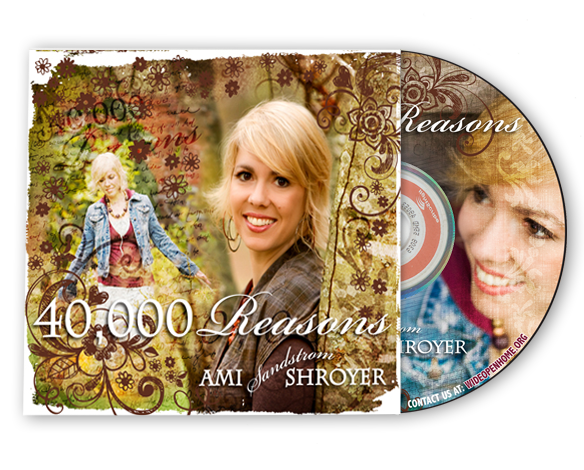 Ami has been involved in ministry since 1990 as a singer/songwriter, recording artist, and worship leader. She has performed concerts and shared her talents in worship services, camps, conferences, retreats, women’s events, schools and other special events. If God blessed me with 40,000 days on this earth, I would live to be over 100. If I could choose a theme for this album, it would be Psalm 103. It speaks of life, mercy, forgiveness, and our eternal purpose. My hope for you, and for me, is that our time spent here on the Earth, the breaths we breathe, and the words we speak would reflect His Great Mercy. A life of sin… a life forgiven… a lifetime of gratitude. Reasons to Love. The 40,000.